Dan Conlin will be in our store on Saturday, June 4 from 12:00-1:00pm to sign copies of his new book War Through the Lens. 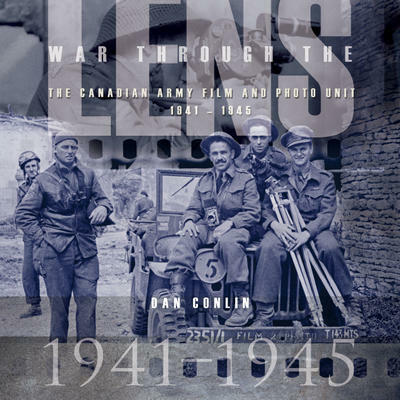 “War through the Lens tells the story of the most daring filmmakers in the history of Canada’s motion picture industry, the fifty cameramen who filmed Canadians in battle during World War Two. They belonged to the Canadian Army Film and Photo Unit and often scooped their British and American allies with the first, and in many cases, the most memorable footage of the war’s crucial battles in Europe. Previous Previous post: Mark Leslie Signing…with Ghostbusters!